Just a little procedural generated isometric map. 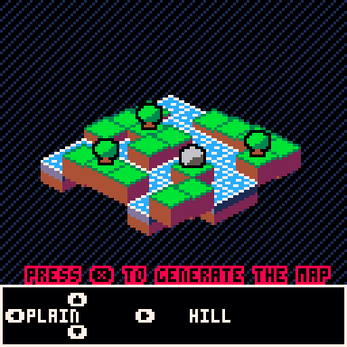 Use right and left arrow to navigate in the menu, up and down to change the parameters, and X to generate the map. Soo cute and funny! Contrats!